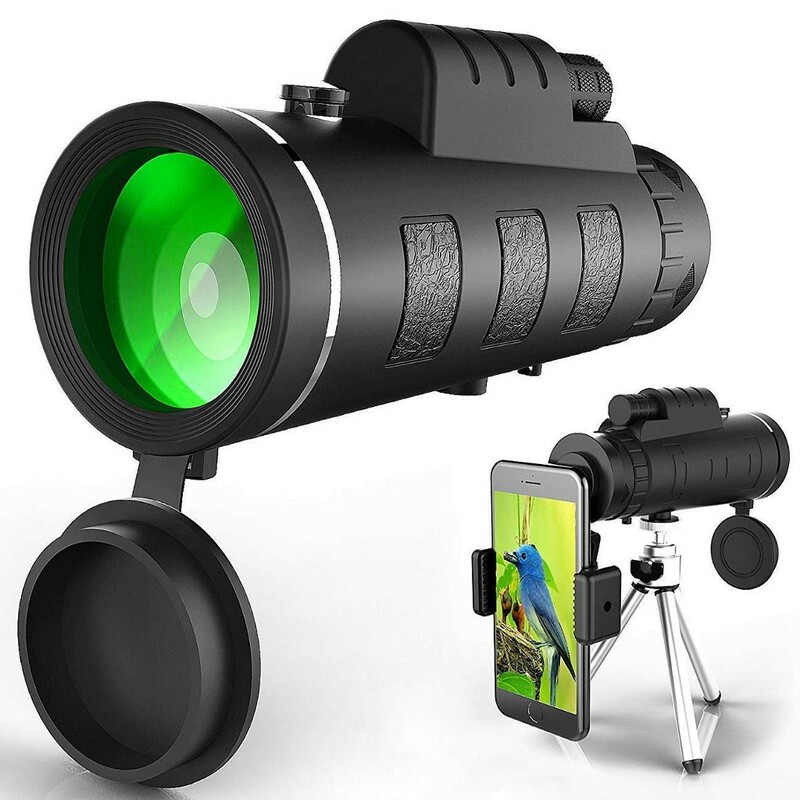 Ideal for travel, wildlife hunting, camping, hiking, fishing, climbing, boating, target shooting and outdoor activities etc. 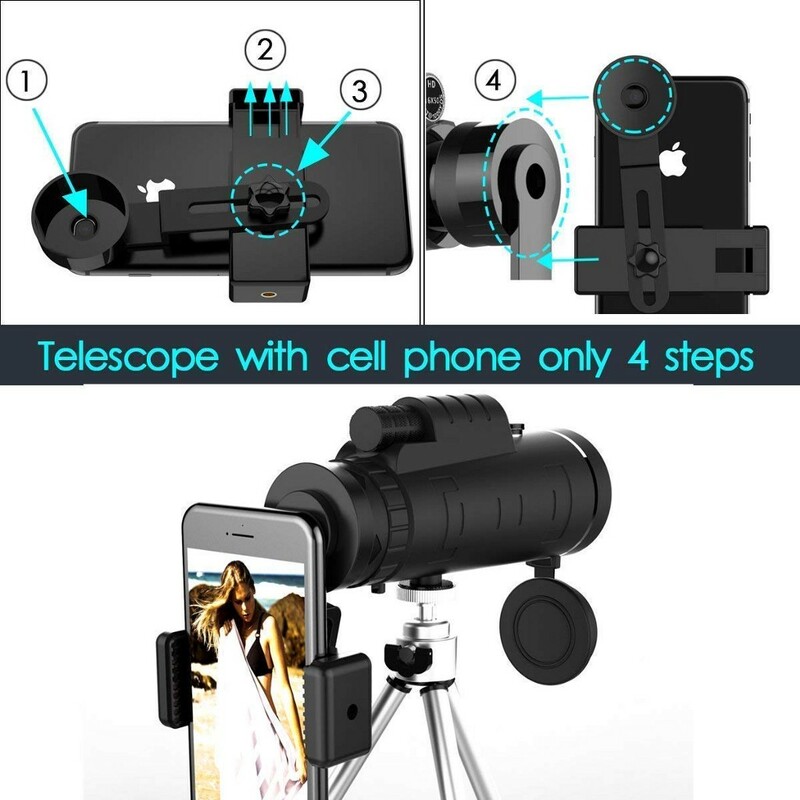 Weather Resistance: With special designed rubber armor, our telescope for adults makes it usable to withstand the toughest weather condition, meanwhile the textured rubber armor is comfortable for use with firm grasp. 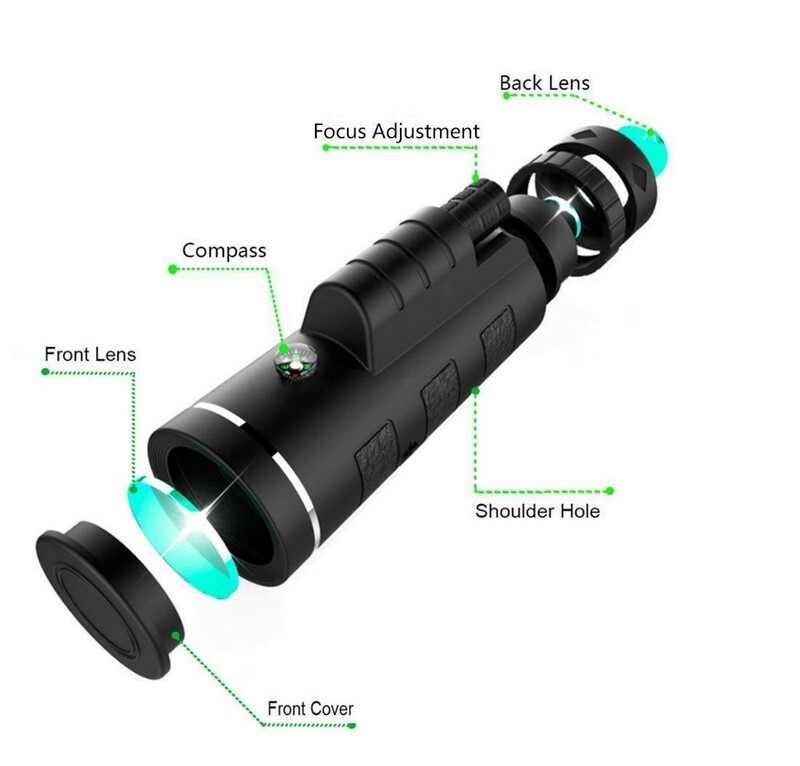 Waterproof & Anti-Slippery: Waterproof, Fog Proof, Climate Proof, Drop Proof function fits for daily use. A sleek, short hinge design with rubber armor and thumb indents leaves more room for your hands creating an easier, secure, non-slip grip. 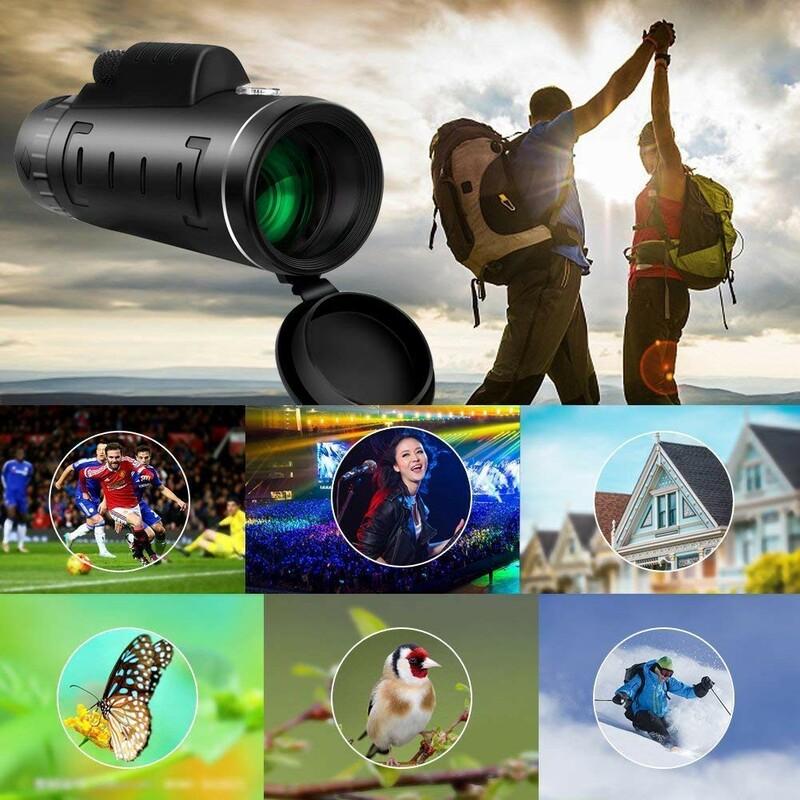 Super Clear Image & Advanced Focus: Monoculars come with large BAK-4 prism inside and fully multi-coated lens coating, which provides superior light transmission and brightness. 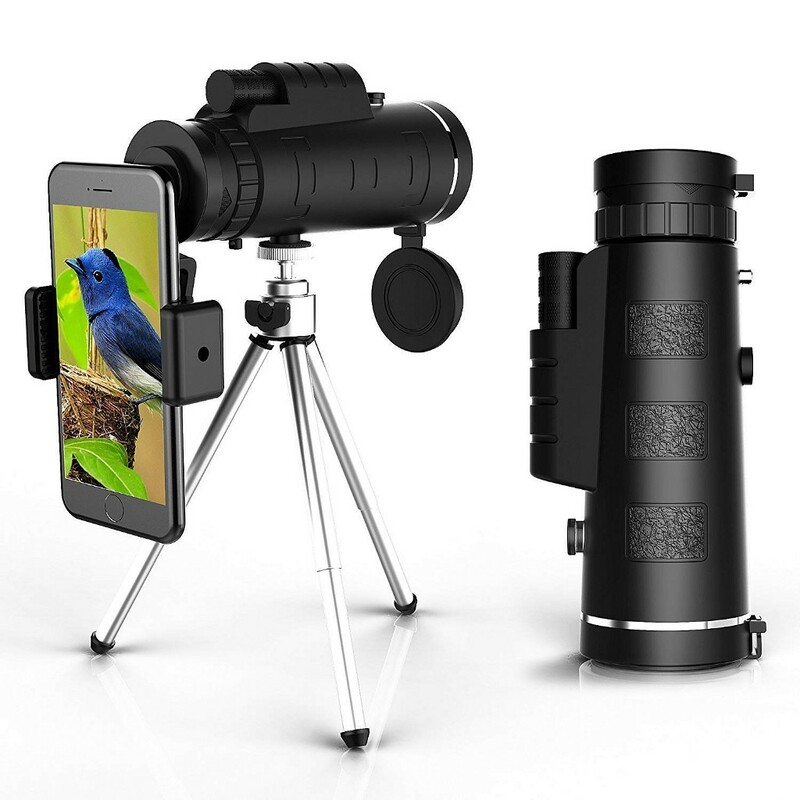 Perfect for Hiking, Hunting, Climbing, Bird watching, Watching Wildlife, target shooting and Travel. 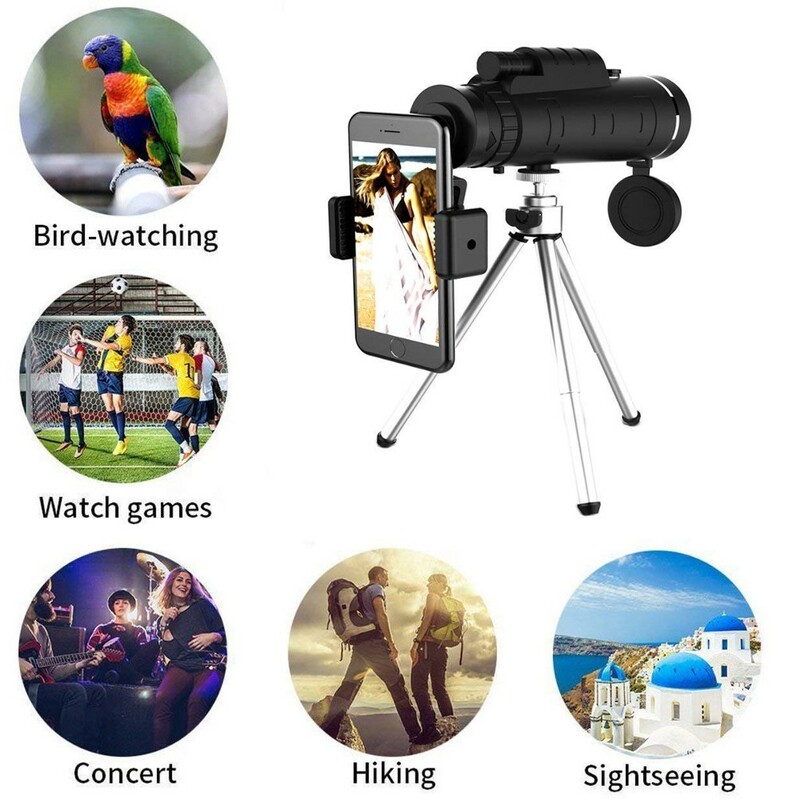 Powerful Tripod: Monoculars are ideal for outdoor enthusiasts with eight professional attachments, strechable tripod offer stabilization imaging yet satisfy your multiple photographic needs. Service: Friendly pre-sales and after-sales customer service and 100% risk-free purchase makes you each shopping a good buy.